Our students come to school daily with powerful mini computers in their pockets and backpacks. As educators, we can see these tiny devices as distractions, nuisances, and barriers to learning OR we can see them for what they really are….powerful portals to knowledge and enablers of enhanced co-creation, collaboration, creativity, inquiry, and sharing. This certainly wasn’t a conversation we would have been having just a short 20 years ago (or even 10). I’m 41 years old this year and we didn’t even have internet in our school (neither did anyone else for that matter). Our library had 1 computer and the only thing we could do with it was search for materials within our own building. The Dewy decimal system was running wild and my access to knowledge and to the world was filtered through that small room in my school and the librarian that stood behind its desk. In college, my access to technology expanded but it was still centered around unilateral bulletin boards + you needed some skill to find them. I stayed connected to my friends and family with a pager. A pager! They sent me messages and I had to call them for more detail. We all know time has changed. Reality has changed. Students have access to far more knowledge than we ever did and that knowledge changes rapidly, daily, and by the minute. Be forewarned, your knowledge is decaying! At OFSHEEA this year (Ontario Family Studies Home Economics Educators Association), I will be presenting a workshop on using Smart Phones and Tablets for learning. I never say “in the classroom” as I don’t see learning relegated to that time and space. I see learning as omnipresent – not restricted to a geographical location or temporal space. All environments are learning environments and I think we can aggregate and curate them into one space where exploration and learning can be consolidated, shared, and reciprocal among like learners. I’m going to flip this session. I’d like for you to read the research and rationale for why using these devices for learning in ALL of learning environments is essential and, in session, I’d like for us to explore those devices and tools to optimize our use of them for our students. I want for you to leave with your toolkit overflowing and confident to use some or all of the tools presented and explored. With that being said, explore these articles, anecdotes, and reflections for why you need to add smartphones and tablets to your learning environment…. Poll Everywhere is an online service that allows you to poll an audience through websites and text-messaging. The polling mechanism is quite simple (and therefore easy for audiences to use): every answer in your poll has a unique number, and audience members text that number to Poll Everywhere’s 6-digit short code. The real magic occurs next, as you and your audience watch the results roll in, live. Use this tool for diagnostic assessments, activation of prior knowledge, check in explorations (assessment for learning), or to capture final summative assessments of learning (to grade). WordPress is an open source blogging platform that can serve as a digital journal and, in our sense, a learning portfolio that is both dynamic and shareable. Here, students (and teachers) can document and reflect upon their learning while, at the same time, contributing to the knowledge base and learning of others by commenting, collaborating, and sharing their own work and that of their peers. Consider a WordPress blog to be like the diary / journal of old but enhanced so that others can not only read / view / listen to the contexts but are actively encouraged to do so, to add to the commentary and to share it openly so as to elicit the comments and thoughts of others. The power of blogging for learning cannot be underestimated. Note: The above video makes reference to the HWDSB Commons but all mentions are transferable to any WordPress related blog either commercial (.com) or self-hosted (on your own server). Many of our students do not like to write and would prefer to have conversations with us to express their learning. This is often referred to as podcasting – the capturing of oral reflection in a digital manner (POD = (P)ersonal (O)n (D)emand and does not necessitate an Apple iOS device). This is not a new concept as tape recorders have been part of the educational landscape for some time. Previously, however the only way to share an audio recording via cassette was to share that physical medium with 1 person. To share it with others you would have to make a copy and the only way to comment on it was to do it orally in person, to write down the comment down on paper, or to similarly record a response via tape and cassette. Those days are gone. Today, students can record their commentary on their device and upload that file to a website, blog, or learning management system. This file can be listened to by a wide audience via the web and that audience can comment to the file just as easily. To date, Mobile Podcaster is the simplest way to capture and share that oral commentary and reflection on a WordPress blog. Uploading video has never been so easy. To upload video in the traditional manner you would have had to record the footage, rip the footage into a computer, edit it in a software program, encode it, and then upload it to a video sharing site. With YouTube capture you can record, edit, and upload footage all within the app from your camera enabled smartphone or tablet (iOS or Android). This can serve many purposes in an educational setting. Some students prefer to express their learning through the medium of video. They may wish to record their reflections in conversation (i.e. Speakers Corner) or demonstrate their learning more creatively through dramatization or documentary. The medium of video is also very powerful for demonstrating learning, the processes of it, and the final product of that learning. Educators, too, can flip their classroom through the medium of video by providing concepts, demonstrations, theory, and background to students ahead of time so as to focus on personalized and responsive strategies and interventions in class, with the students, where the support is most needed and required. Remind101 provides a safe way for teachers to text message students and stay in touch with parents. Through this platform, you can send student updates and reminders about activities and due dates and keep parents in the loop and engaged at the same time. The real power of this tool appears when you rethink your engagement practices for both students and their parents. As a unilateral reminder tool Remind 101 is very powerful but when used to send open ended prompts that appeal more to a growth mindset than a fixed mindset you are faced with a tool that can both elicit reflection and enhance engagement beyond mere involvement. Smart phones and iPads can be a great tools for capturing notes, and getting a head start on writing documents and outlining ideas, as long as you have the right apps to help you be productive. Sure, you can use the built-in Notes app to jot down your ideas, and you can download a voice recorder to record classes or interviews, but SoundNote combines the best of both tools to give you a way to type and draw on your iPad’s screen to capture information while simultaneously recording audio so you don’t miss a single word. 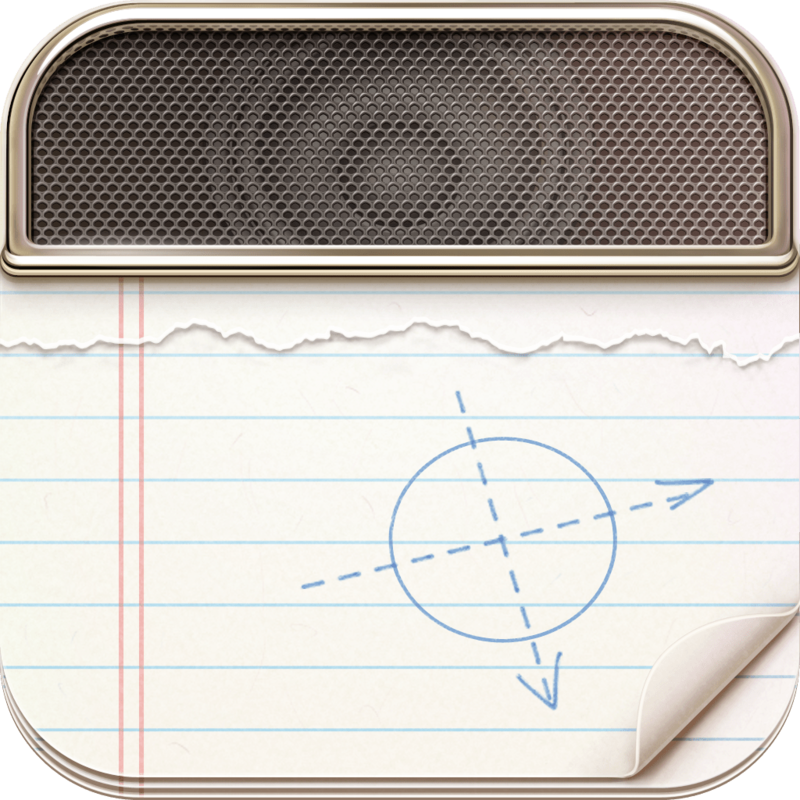 SoundNote is a paid app ($4.99) and does a great job of recording audio that accompanies note taking at any given point & time. A similar experience can be achieved through the use of Evernote, which is free & requires an account to use & access. Evernote syncs files & notes to all of your devices and is readily accessible no matter where you are or what device you have in hand. Explain Everything is essentially an app with a whiteboard type screen that allows users to record audio, video, write, and move objects all while recording in real time. The end products can be pictures, videos, are even template projects. Explain Everything allows users to annotate any object on the iPad with the touch of their finger. It makes it easy for students, teachers, and parents to capture their screens and share it with virtually anyone. 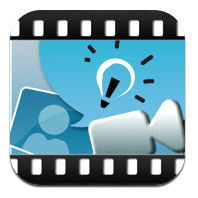 Teachers can use it to record lessons, create demonstrations, and export their videos to their blogs to support their instruction while engaging parents at the same time. Teachers have also been able to use the videos that students create as an assessment tool. With Explain Everything students can make their learning and thinking visible. They can also share these recorded artefacts on their blogs as part of their digital learning portfolio. Lino http://en.linoit.com/ is ‘a free sticky and canvas service’ that allows you to share ideas, photos, videos, websites and more. Essentially, a virtual post-it noticeboard that can be used to share ideas/ questions etc. It requires a web browser or an app on a mobile device. 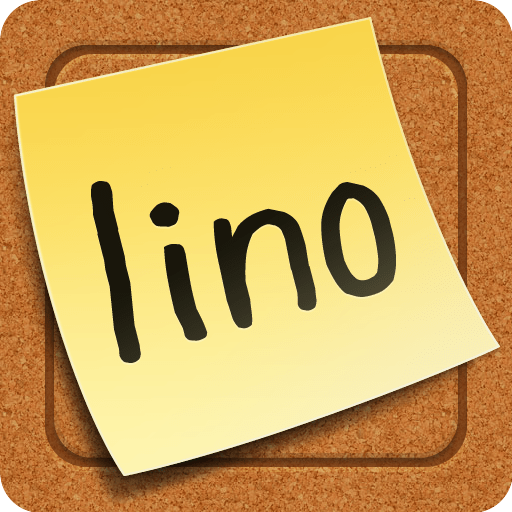 Linoit is a powerful tool for online collaboration, brainstorming and sharing of information through sticky notes which can include text, hyper links, images and video. You can create, edit and organize your canvases. You can embed your canvases into your blog. It’s a tool that allows crowd sourcing in an engaging and open way. Google Docs is a powerful platform that allows teachers and students to c0-create and collaborate on documents live at the same time. With Google Docs you no longer have to collaborate on a document that is shared back and forth by email. This process is extremely inefficient as multiple copies of the documents exist and are shared which can lead to confusion as to which version is the most recent. With Google Docs, students can collaborate on an inquiry together live in the same document. Not only can they edit the document together, but they can also chat about what they are doing while they are doing it. The same is true of teachers should they use this service for co-planning and the moderation of student work. The power of Google Docs is that Documents can be shared, opened, and edited by multiple users simultaneously. Note: If your board or district has embraced Microsoft Office 365 versus Google, please note that there are similar features available in that platform. Please contact your board representative for more information. What do you think of the tools covered in this session? How could you use them in your learning environment? How will you engage students and their parents with the tools? Please share in the space below. I am so glad to you hear you are using Mobile Podcaster for educational purposes. We have a new version coming out soon. Any new features you would like to request? Thanks so much for replying. It’s great to hear from you! I can honestly say that we use your app exclusively to capture student reflection and voice as it posts directly (and seamlessly) to our HWDSB Commons, which is a WordPress Multi-Site Blog with Buddypress installed as a social layer. Check out http://directorsforum.commons.hwdsb.on.ca. We use your plug-in for our student voice forums and for classroom reflection, learning, and exploration. I’ll check in with the teachers on enhancement ideas and let you know. One think I hear regularly and often frustrates me as well is that uploads fail if the podcast’s duration is over 10 minutes. Any thoughts on that one? Do you think it’s a multi-site issue? Also, I have teachers maintaining multiple devices in their classrooms and would like to use Mobile Podcaster on all devices but are restricted by cost per license. Any movement forward or thoughts on providing teachers with a bulk license to ensure all devices are covered with a copy of the app?